A incoherent campus area is transformed into a communal and climate-friendly neighbourhood. 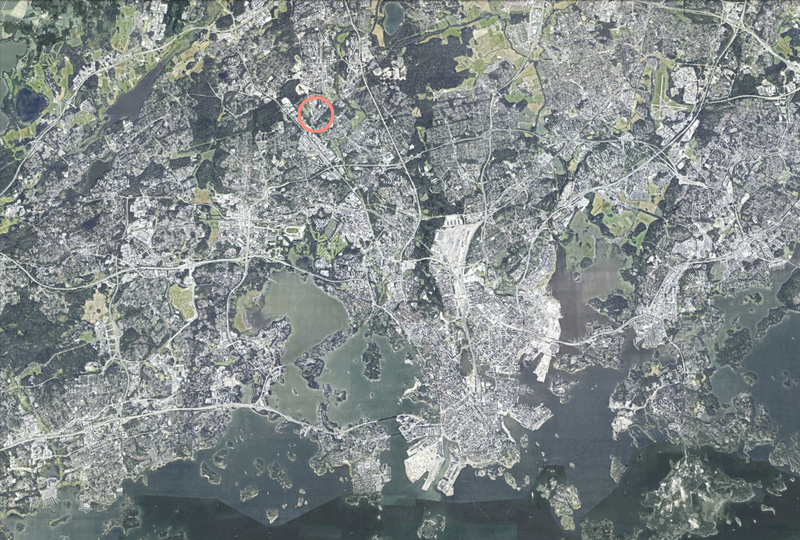 Malminkartano lies north of Helsinki city centre, a mere 15 minute train ride away. The character of the proposed area stems from its experimental and colourful architecture. The surrounding green areas offer excellent prospects for outdoor activity. Green spaces, gardens and leafy lanes establish new connections with the surrounding hills. Carefully designed landscape features provide each public spaces, lane and courtyard with a site-specific atmosphere. Variation in housing type, colour and roof form lend a distinctive character to the new area. Motivated residents are more likely to embrace climate-friendly choices and urban culture than average members of the population. 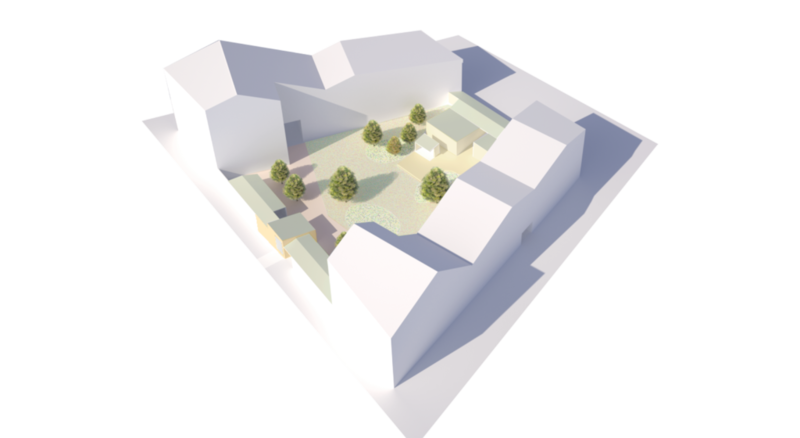 Communality is encouraged through carefully carefully considered block layout and size, and landscaping for shared gardens and common spaces. 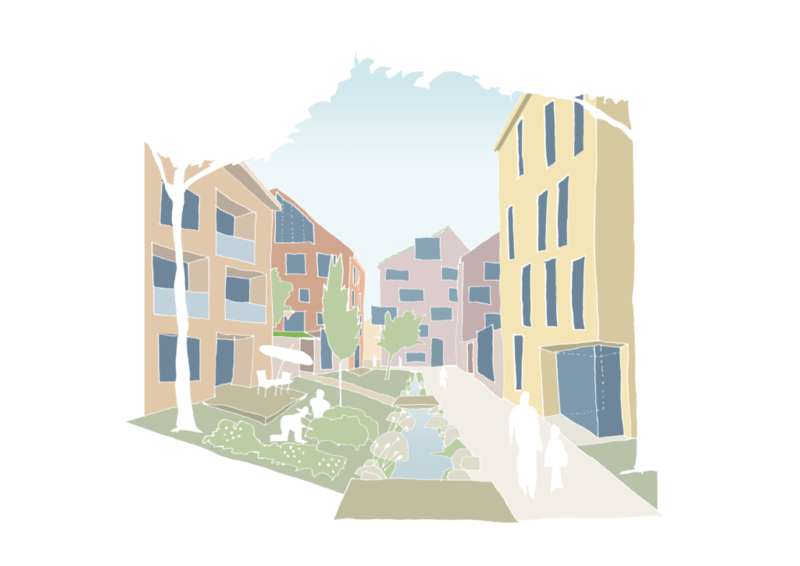 Social diversity is achieved by combining various housing typologies and living arrangements. Pitched roofs are designed to accommodate solar panel. The form and orientation of courtyards creates a warm micro-climate, while vegetation prevents apartments from overheating in summer. 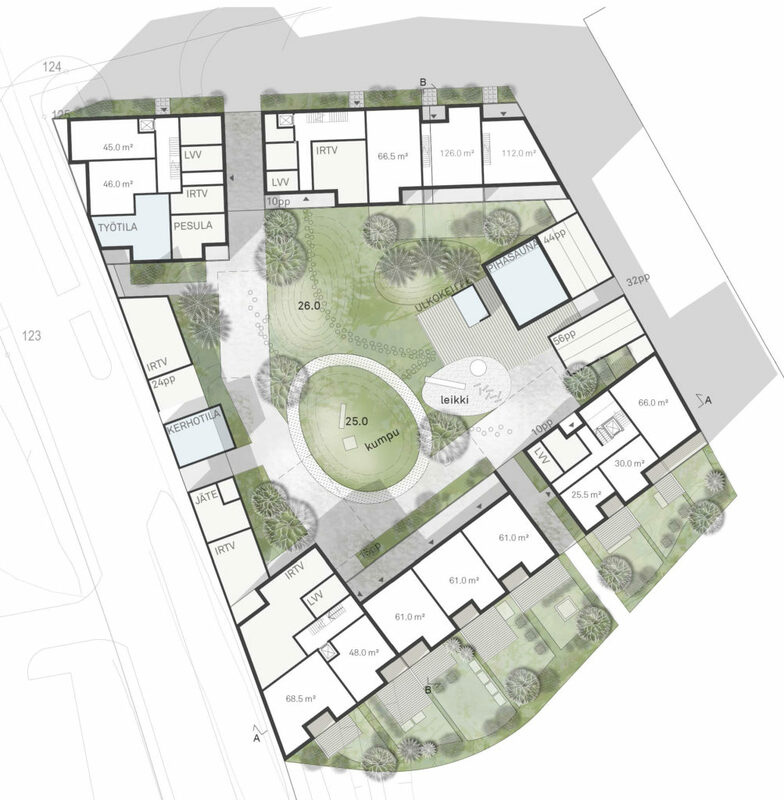 A project that integrates urban design and landscape architecture to promote communal activity.